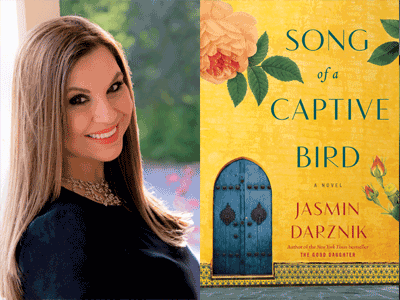 New York Times-bestselling memoirist Jasmin Darznik shares her spellbinding debut novel, Song of a Captive Bird. Jasmin will be in conversation with Donia Bijan, author of The Last Days of Cafe Leila. All through her childhood in Tehran, Forugh Farrokhzad is told that Persian daughters should be quiet and modest. She is taught only to obey, but she always finds ways to rebel--gossiping with her sister among the fragrant roses of her mother's walled garden, venturing to the forbidden rooftop to roughhouse with her three brothers, writing poems to impress her strict, disapproving father, and sneaking out to flirt with a teenage paramour over cafe glace. During the summer of 1950, Forugh's passion for poetry takes flight--and tradition seeks to clip her wings.